Jan. 30 (NBD) -- Chinese smartphone maker Huawei caused a stir recently as it is reportedly stepping into the TV sector. Two TVs under its sub-brand Honor are expected to hit the market in April and May, respectively, followed by a Huawei TV in the second-half of 2019. The Honor TVs will be available through online retail channels and will be much more affordable than the Huawei TVs, which will start at 65 inches. 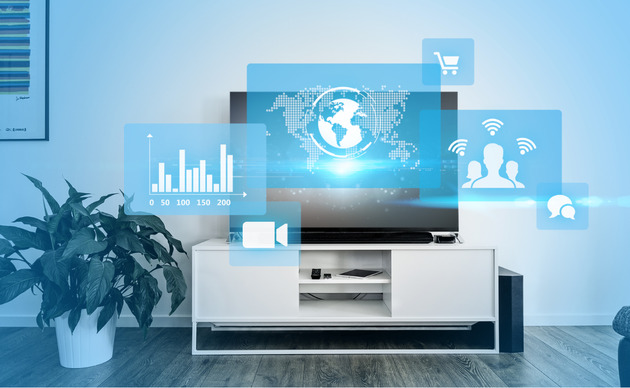 It now has a team of 200-300 employees for its TV business and the R&D of TV will be classified into the IoT (Internet of things) department. In addition, there are possible contractors, reported news outlet Yicai citing an industry insider. When reached by NBD, Huawei denied making comments on this matter and Honor denied knowledge of it. Despite that, NBD confirmed the rumor with a panel maker. "Huawei do have made contact with us," said the panel maker to NBD earlier this month. The panel maker believed that Huawei's foray into the market is part of the broader efforts of entering the smart home appliance sector. Li Shanhui, senior analyst in the TV industry chain, expressed similar view with the panel maker to NBD and offered more in-depth analysis. "As sales of smartphones are down across the board in the domestic market last year, Huawei has to seek for new growth drivers. Its chips, AI and cloud computing technologies will empower Huawei in the niche sector, "she said. According to Chang Dong, joint vice president of Chinese TV maker Konka, Huawei's HiSilicon chips have enjoyed a considerable share in the domestic TV market and it keeps climbing. "If the trend continues, it is likely that Huawei will turn out TVs, he added. If Huawei are able to make 4K and 8K TV popular and make customers get used to using high-quality contents, it will in turn prompt the demand of 5G technologies and 5G-powered base stations. Currently, the penetration rate of 4K devices has reached 67 percent, but few 4K contents can make their way to those TVs. Huawei might want to make some changes, reported Yicai citing the industry insider. Those factors indicate that it makes sense for Huawei to make this choice. But if it is true, smartphone maker Xiaomi, who has successfully entered the TV market, will be panic. According to the financial report of Xiaomi in the third quarter of last year, sales of Xiaomi TV grew 198.5 percent year over year. In addition, the shipment of Xiaomi TV exceeded 5 million units in the first three quarters of 2018. Prior to Huawei's entry, there is almost no rival competing with Xiaomi at the Internet TV sector except traditional TV manufacturers. But now, it may face fierce competition. In terms of technologies of Internet TV, Xiaomi has formed partnership with TV maker TCL, which has better panels. In comparison, Huawei has self-developed chips. Huawei entered into an agreement with Hunan TV in December last year to cooperate in contents and distribution channel. In addition, the video contents for Huawei Honor TV Box are from GITV, which is formed by China National Radio, Jiangsu Broadcasting Corporation, iQiyi and etc, while contents for Xiaomi is supplied by Tencent Video.The two players both have their advantage. It is noticed that except Huawei, smartphone maker OnePlus has announced its entry into the TV market. OPPO and Vivo are also eyeing the market. Given that, it is likely that smart TV will become a new battlefield for smartphone makers.